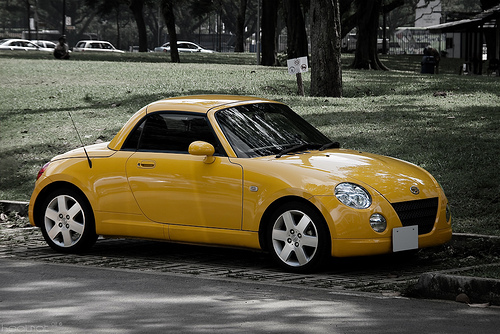 I Want A Daihatsu Copen!!! Have you guys ever seen this car before, it’s the most adorable car around, at least in my opinion. 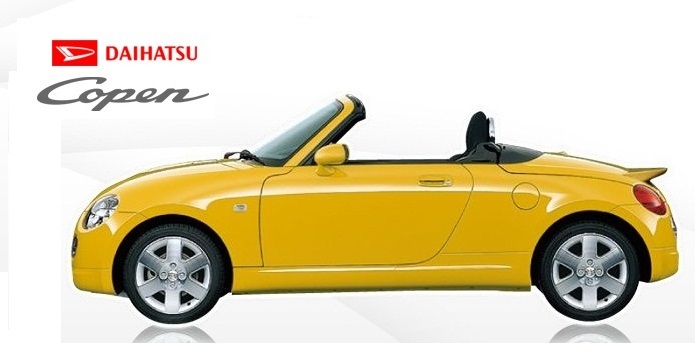 The Copen made by the Japanese car maker Daihatsu is the best car for a city like Toronto. It’s small, easy to park and it looks oh so adorable! I like the yellow color for this car. I’m not sure if I want to drive it on a highway for too long but I think it’s a cute little toy car made for city girls like myself. I want one of these cars but there’s one little problem, they’re not sold in Canada. I managed to find a Japanese export company, Bafta Japan Inc., that will buy and ship this car overseas to pretty much anywhere. The price of the car is not that high either, so knowing that I probably wont be able to drive it that much in winter time i think $ 21,220 (car+tax+shipping) is not too bad. I want one too. 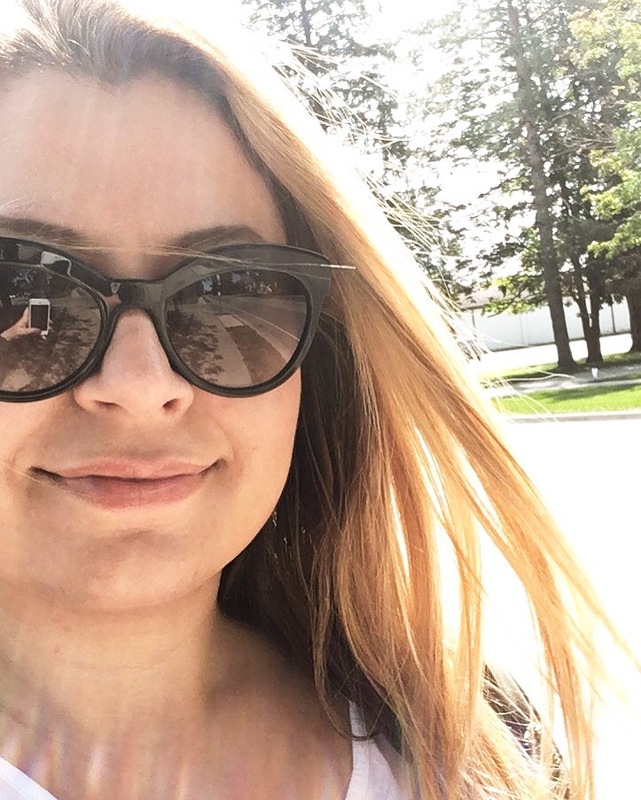 Do you know of any way to get one? I love kei-cars!!! Wish they would be more available in North America.